Provides five default attractive banners. Stylish and smooth animated Banner designs which helps you to widely use in various commercial establishments and advertising campaigns. Activate the desired banner style with a single click. Facility to upload multiple images simultaneously with maximum upload size 10MB. You can add title and description to the banners. 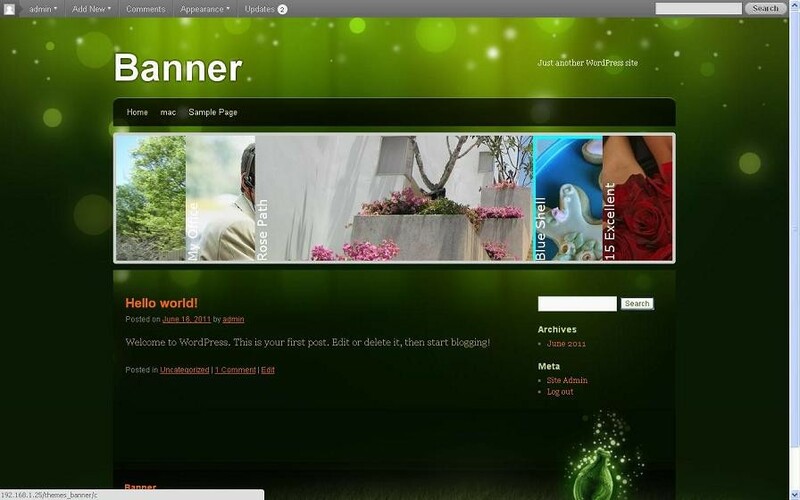 Customizable settings for banner images. Single banner display with different styles. Ability to customize the styles of banner like changing the dimensions (height, width),color options(background color,text color,border color). A professional and neatly designed banner is counted as a promotional tool or an advertising partner of your website. This banner maker offers different styles of banner that suits your website/products/services. 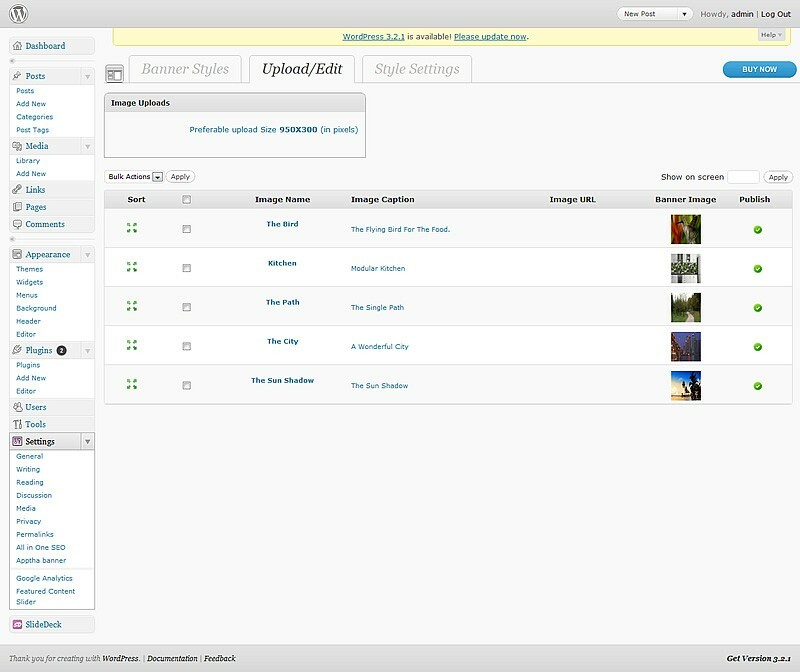 The plugin offers five default banners named Navo Slider, Blinking Navo ,Plain Image,Smooth Slider and Lofslider Images. With a simple click make banner that displays your services, increasing the visibility. Upload multiple images simultaneously with maximum upload size 10MB The animated banners ensure attention with striking design and vibrant colors. 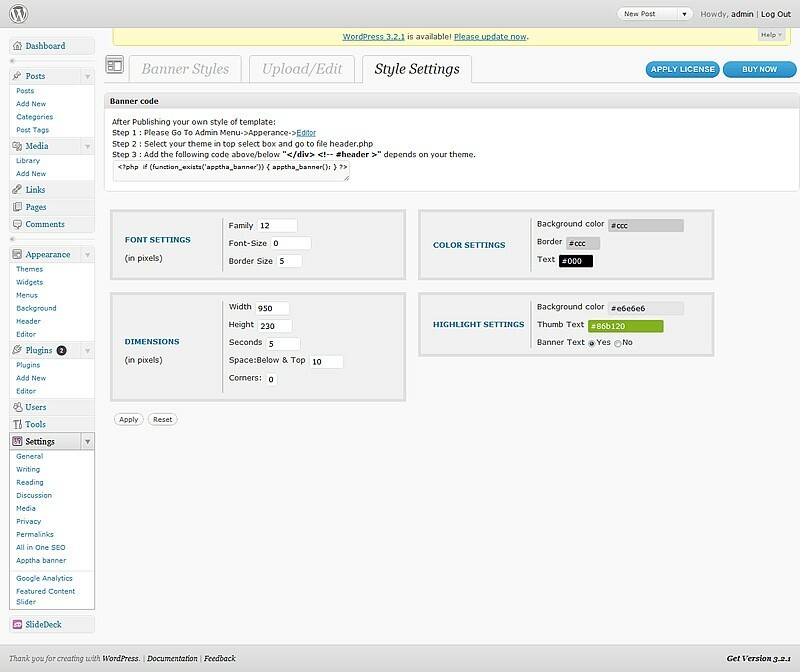 The WordPress banner provides an exclusive facility to change the styles and choose the banner, switch between the banner styles. The banner plugin enables to upload multiple images simultaneously, add banner title, description and target URL instantly with a quick edit option. Create a truly amazing web banner design bestowing an exquisite website that helps to drive traffic to your website. Add a classic advertising banner image for your WordPress site. This plugin acts as a marketing solution for your WordPress site by showcasing your product image in a full length banner at the header. 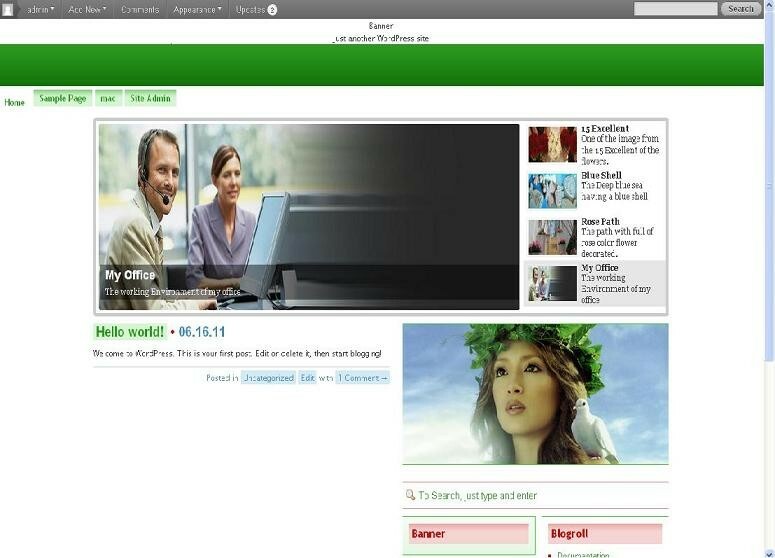 The website banner has five default banners with attractive and unique design and easy facility to upload multiple images simultaneously with maximum upload size 10MB.